Hello, it’s Doree here from Top Notch Mom. I am so happy to be back here at Juggling Act Mama. It’s amazing how fast a month goes by! Before you know it the holidays will here and you’ll be on the hunt for the perfect side dish to go with your main dish. 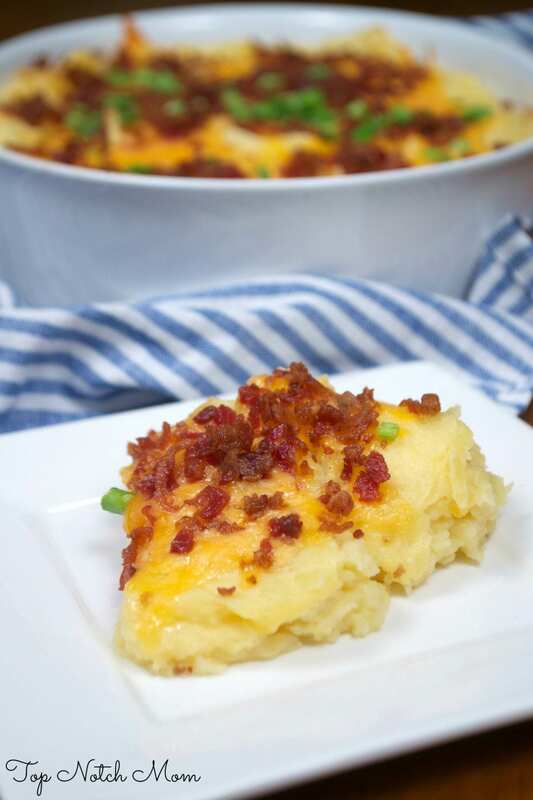 Today I am going to be sharing this family favorite Easy Baked Potato Casserole that is absolutely perfect for the holidays. 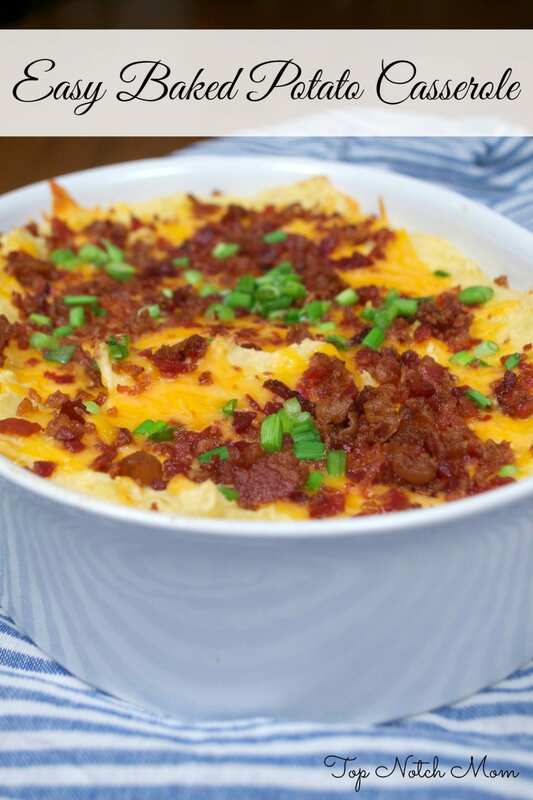 This recipe has been in my family for years and I am so excited to share it with you. It’s also a great recipe because it’s easily changeable to your liking. 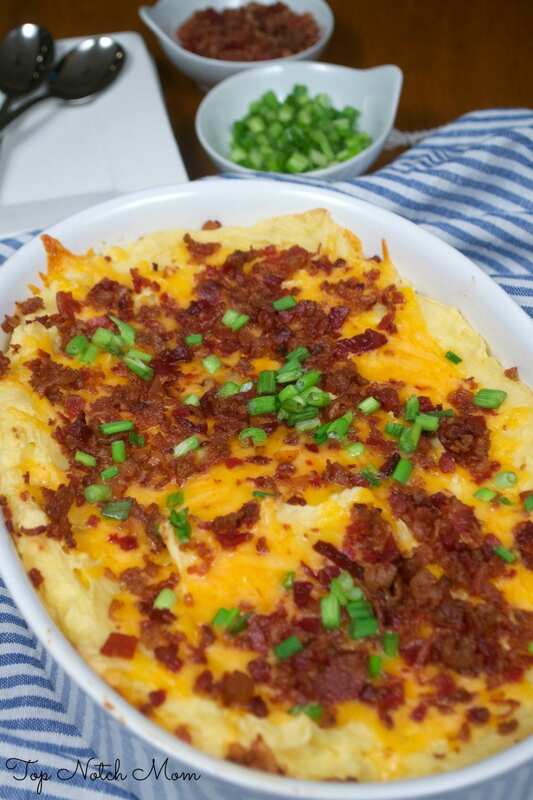 I loaded this Easy Baked Potato Casserole up, but it’s just as good without the bacon and other toppings. This is such an easy recipe. I’m making it for lunch tomorrow. Thanks!